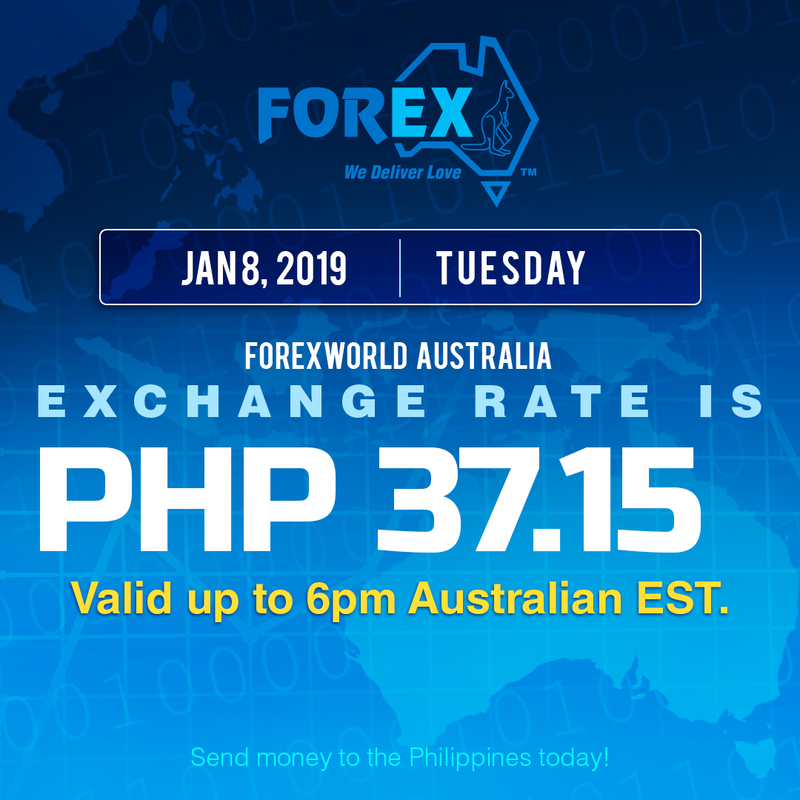 Forexworld Australia Exchange Rate January 8, 2019 (Tuesday) is PHP 37.15 valid up to 6pm Australian EST. 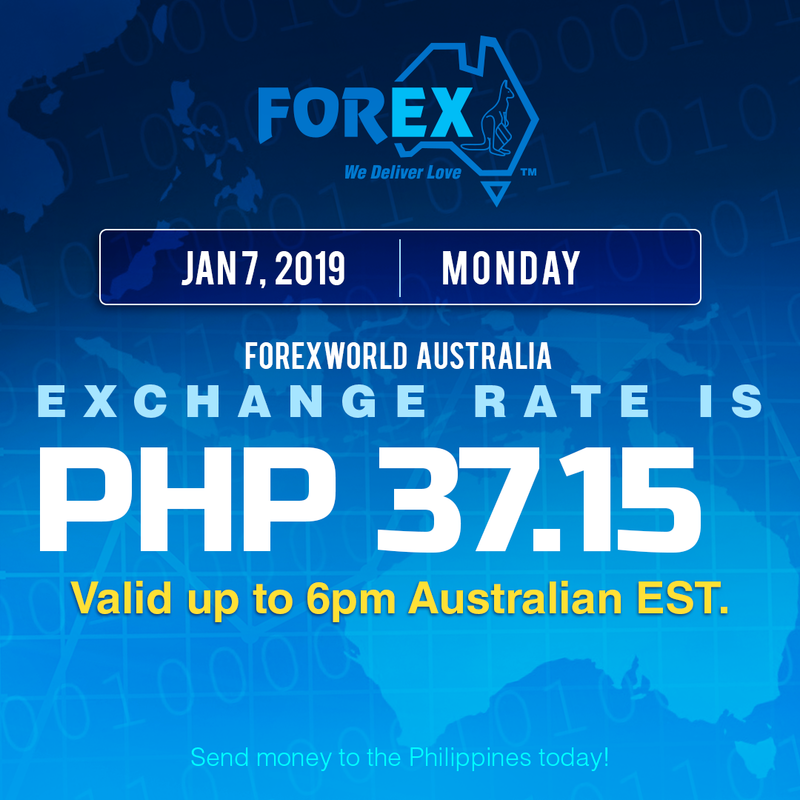 Forexworld Australia Exchange Rate January 7, 2019 (Monday) is PHP 37.15 valid up to 6pm Australian EST. 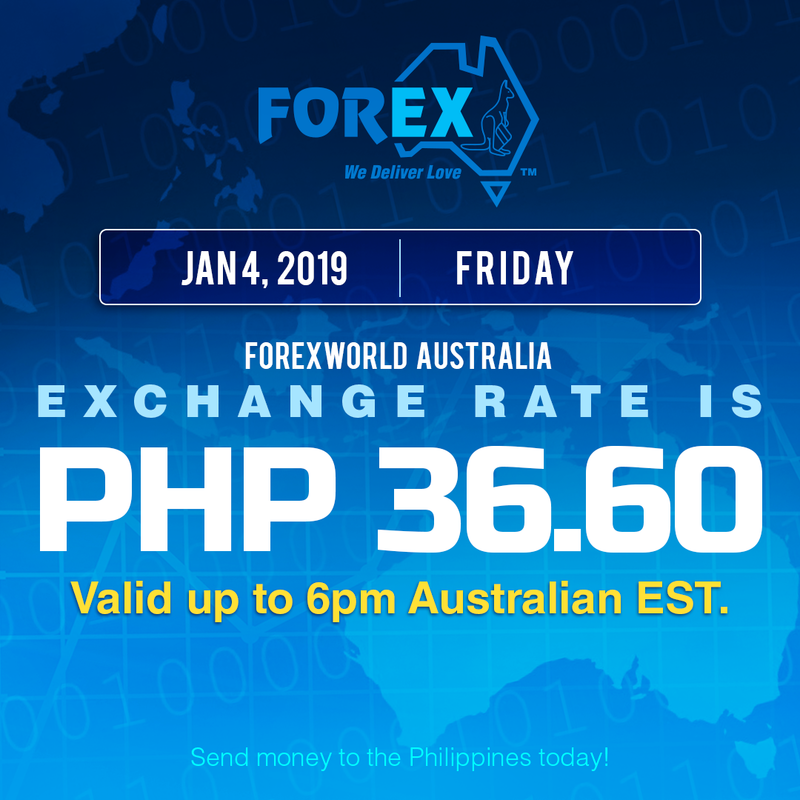 Forexworld Australia Exchange Rate January 4, 2019 (Friday) is PHP 36.60 valid up to 6pm Australian EST. Forexworld Australia Exchange Rate January 3, 2019 (Thursday) is PHP 36.45 valid up to 6pm Australian EST. Forexworld Australia Exchange Rate January 2, 2019 (Wednesday) is PHP 36.80 valid up to 6pm Australian EST. We appreciate your continued support and look forward to growing as one in 2019. Happy New Year everyone! It’s hard to believe we closed out another year, but we are more excited for the opportunities and growth that 2019 brings. Forexworld Australia Exchange Rate December 21, 2018 (Friday) is PHP 37.50 valid up to 6pm Australian EST. Forexworld Australia Exchange Rate December 20, 2018 (Thursday) is PHP 37.40 valid up to 6pm Australian EST. Forexworld Australia Exchange Rate December 19, 2018 (Wednesday) is PHP 37.80 valid up to 6pm Australian EST. 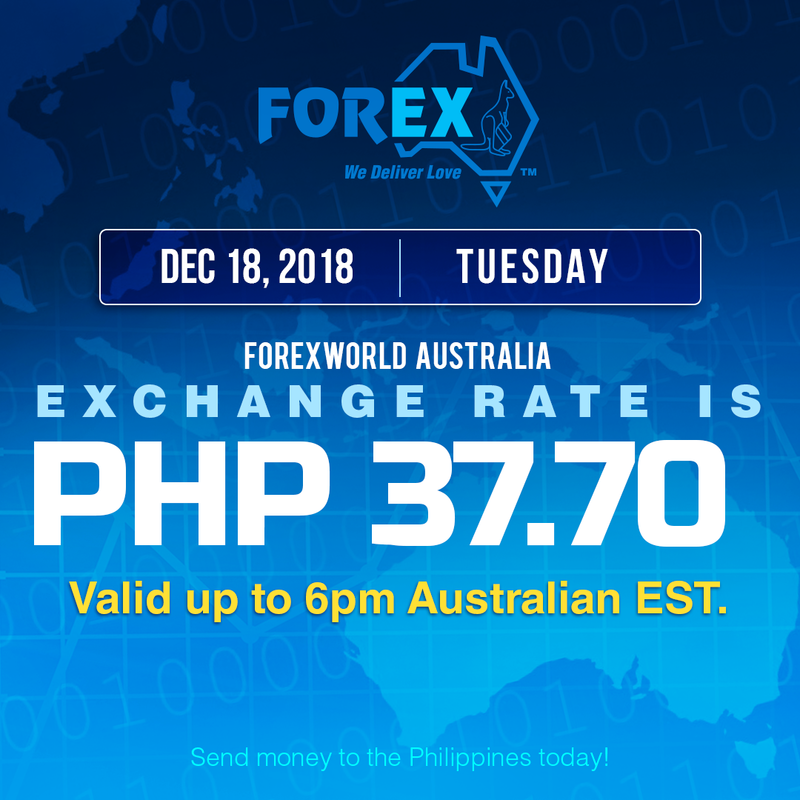 Forexworld Australia Exchange Rate December 18, 2018 (Tuesday) is PHP 37.70 valid up to 6pm Australian EST.